Robi Insinna AKA Headman revives underground track ‘It Rough’ for 2013 with a package that includes the original Chicken Lips remix as well as new mixes from Headman and remixes from Scott Fraser and Remain. 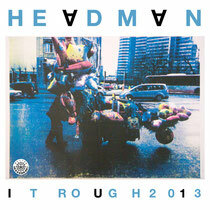 Back in 2003 the Gomma label released Headman’s ‘It Rough’ featuring a slice of post punk/disco from Headman producer Robi Insinna and a remix from production duo Chicken Lips. The record was a massive success for the label and receiving a nomination from Groove Magazine as an ‘all time dance classic’. 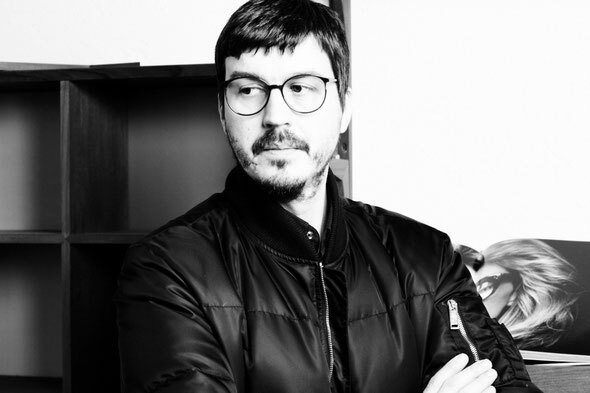 Now almost a decade on Headman don and Relish Recordings label boss Robi Insinna has decided to re-release the track to a younger audience who may well not have been around for its original release. The single kicks off with the Chicken Lips remix. Stripped, at times brutally raw and totally mesmerizing this is a remix that is as timeless now as when it was first recorded. Taking its cues from early Chicago house the Chicken Lips boys take things back to an 808 and 303 approach to devastating effect, building a slow steady groove that is so full of compressed energy that a simple snare roll and ride at around the half way point acts as a tinderbox and quite simply takes the roof off. Robi Insinna gets to grips with his own composition for a ‘2012 Reversion’ and a ‘2012 reprise’ which sees the song morphed into an updated version keeping the funky post punk disco vibe with rich analogue synth lines, heavily delayed percussion and the distinct vocal refrain. The reprise sees Robi venture into acidic territory with a superb moog bassline that bubbles and mutates throughout the track adding another enticing layer to the track. For the remixes Robi turns to two of his favourite producers of the moment, both of whom have collaborated on the Relish label before, Scott Fraser and Remain. Scott takes the original and twists it into a brooding and emotive slice of electronica that delves into deep and techy territory whilst Remain delivers a spacious and stripped version that wraps itself around a simple and infectious bassline. It’s out January 4.